Recently I posted about Salto del Carileufú and our experience staying at the hotel there while vacationing in Chile. Very nearby is Ojos del Caburga (the eyes of Caburga), a place that collects the waters from several small rivers, including the subterranean rivers discharging the waters from Lago Caburga (hence the name), just a few miles up east. It is a bowl with blue waters, mist, rainbows and cascading waters all around the bowl. It wasn’t until reading about the place that I learned that at least one of those rivers was subterranean. One of the unexpected finds within the private property where the waterfalls are, were the beautiful and very old chestnut trees bearing fruits still green waiting to mature in the fall. As we know, chestnut trees were wiped out from the US and efforts to restore it have been undergoing for many years so it was almost spiritual to see these majestic trees. One can only imagine them before their demise here in the US. Here are some pictures of Ojos del Caburga. Brookside Gardens, Wheaton, Maryland; I would love to keep it a secret but that wouldn’t be fair. 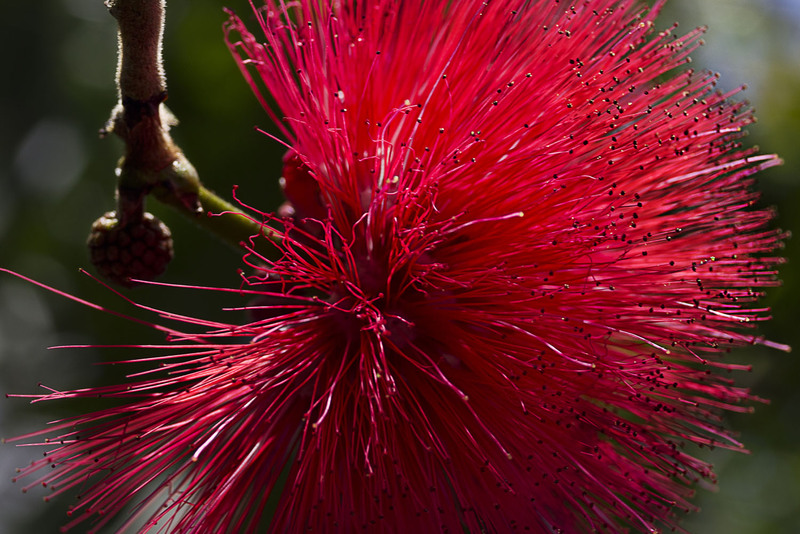 Here is the official website of the gardens and my website has a few pictures of my own. 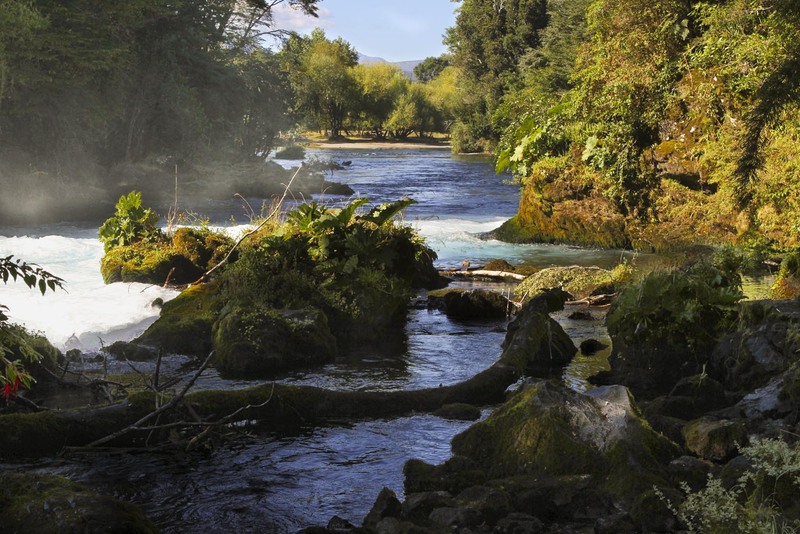 This beautiful and remote park in southern Chile encompasses and surrounds the Llaima volcano (Volcán Llaima) and within there are many areas of beauty and interest to the visitors. Being that this was our first visit to the park, my son and I picked the closest entrance to the park from Temuco where we were staying overnight and we decided to visit the area called Los Paraguas (The Umbrellas), named so because the araucaria trees, when seen from the distance, resemble open umbrellas. 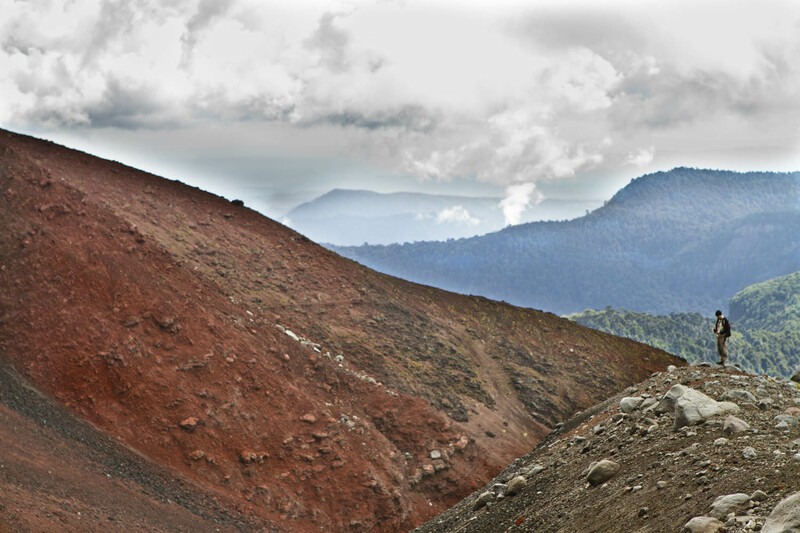 As one starts climbing towards the volcano, and on a clear day, one can see the imposing Llaima dead center ahead of the road, and on the right side of the volcano, from our perspective, the red side of a mountain. As soon as we crossed the park boundaries, we came across what seemed a river of lava forming the access road, surrounded by araucaria trees and other vegetation draped in Spanish moss, and during a short break in the clouds, the view of the volcano. The red side of the mountain comes from the color of lava deposits from the many eruptions of the volcano and it seems that this was one the “channels” that has carried the molten lava downhill. Most of lava pieces are glass-like so we were grateful for the tough sturdy hiking boots we were wearing. The weather over the mountains is unpredictable and while we were there it alternated between rain, sleet and sunshine which made for very good if challenging photo opportunities. One of the most impressing sights was seeing clouds forming close to the ground and moving up the side of the mountain. Looking forward seen more of Conguillío in the future but for now, here you can find a 40 seconds video clip of the clouds hugging the ground as they move up the mountain and several still shots of everything else. If you live in the northern hemisphere, spring makes its arrival tomorrow. To my friends in the southern hemisphere, it means their summer is over and autumn arrives with the promise of changing leaves and cooler weather. 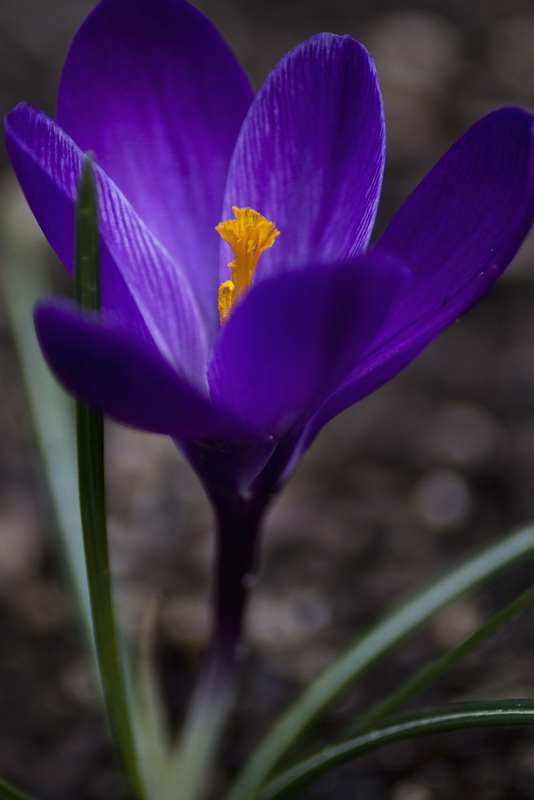 For a couple of days already, those of us who live in the mid-Atlantic region of the US have been receiving spring arrival messages from Mother Nature and the “crocus” flower at left is but one example of spring time wonders. Birds are already nesting, days are longer, garden supplies stores are ramping up for the planting/gardening season and some hearty souls have already unpacked their short pants from the closet. Many years ago I almost literally stumbled against a place called Salto del Carileufú in the Lakes District of Southern Chile. I wanted to visit Parque Nacional Huerquehue and I had reached Pucón, which is a tourist’s magnet in the region, and not wanting to stay in with the crowds, I asked in the tourist information office if there was an affordable place in the vicinity and they sent me to this small “hostería”. Finding the place was an adventure in and by itself but when I found it, it was magical: a small lodge, quiet, imposing views of Volcán Villarrica, fresh food, sinfully-tasting German “kuchen”, green-emerald river waters and the waterfall of the Carileufú.While planning another trip to the region this year I discovered that the place had been sold and reopened under new management and I was highly apprehensive about what changes I’d find. The previous owner wanted to keep the lodge small and pristine and having seen in other places the results of “improvements”, my apprehensiveness was bordering cynicism. It is magificent. The new owners – an Italian family – added a couple of tastefully designed cabins, improved the extensive lawns and created a magical garden that is nothing like I have ever seen. From lettuces to raspberries, potatoes to green beans, they are all there. 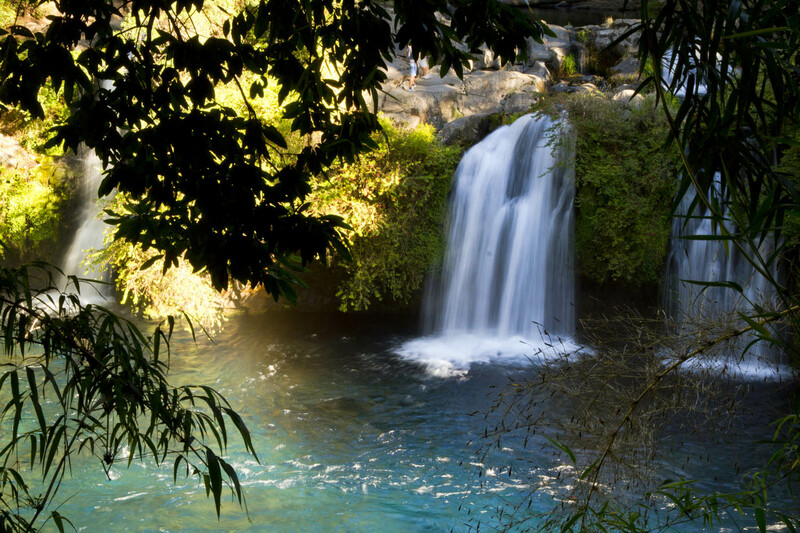 More importantly, what nature created in the first place – the waterfall, the green-emerald waters, the peace and tranquility, the sound of the waterfall at night, the “kuchen” at tea time, they are all still there. Plus the Italian food now! Please visit my gallery of pictures of Salto del Carileufú and let me know what you think or ask me if you have questions. Above all, try visiting; there is a whole new world around there.